Last year Team Confused Moose took on the Grizzly Ultra and this year we are coming back for more! 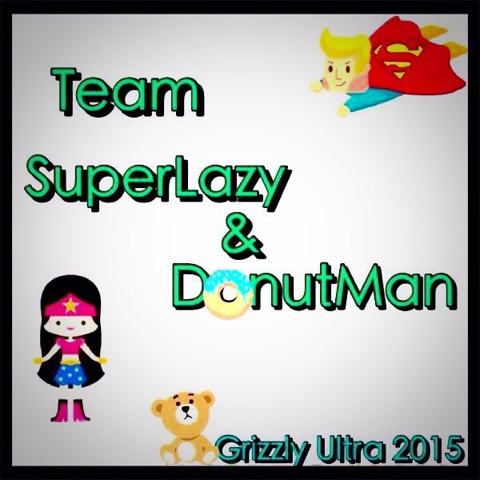 Our goal is to beat our 2014 time (6:45) and try out different legs. I'm running 1 & 3 and Kev will run 2, 4 & 5. That evens out the overall distance for us at approx 25km each and happily fits right in with the marathon training plan - more details on that soon! Once again I would like to request no snow please. What???? I thought you were done with Grizzly! I hope it's warm for you! It was so chilly last year. I would love to do Grizzly again. It's such a fun race.. It going to be fun. Team Happy Pace will be joining you. Or rather I shall endeavour to chase Kev since those are my legs too. See you there and at the finish. Collectively we can be Team STFU ;) Also yay!